Carrots are an excellent source of antioxidant compounds and the richest vegetable source of pro- vitamin A Carotenes. They help protect against cardiovascular disease and cancer. They also promote good vision, especially night vision. A single carrot will supply all your Vitamin A needs for the whole Day. Wash the carrots and chop them . In the blender, along with the carrot add salt, red chilly and little water, grind them well. 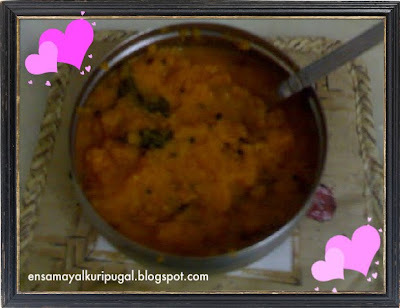 In a pan heat oil, add the mustard, when they stop spluttering add urad dhal and curry leaves. Pour the puree to the pan. In a low flame, allow this puree to become thick ,keep stirring occasionally. Do you add any tamarind or anything. This chutney sounds really interesting.